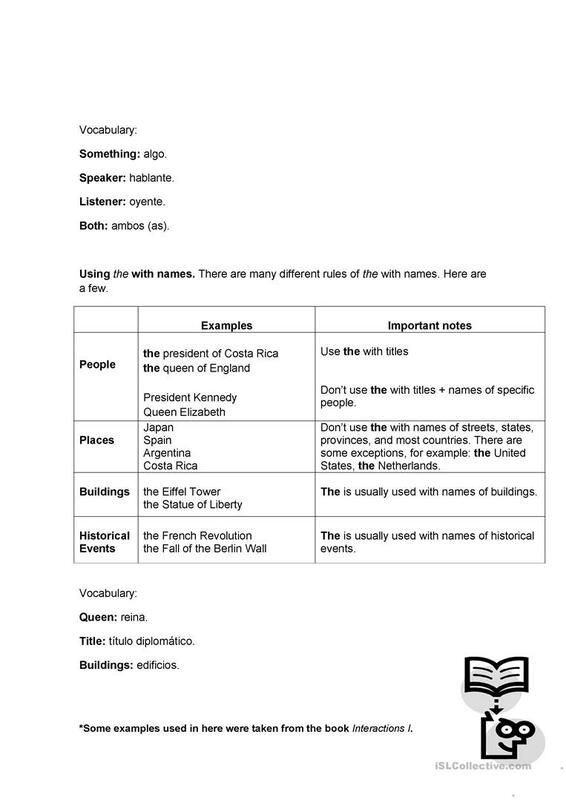 It consists of a brief explanation of the use of articles in English. It is useful for those who are learning English as a second language as well. The above printable, downloadable handout is recommended for high school students, elementary school students and adults at Beginner (pre-A1), Elementary (A1) and Pre-intermediate (A2) level. 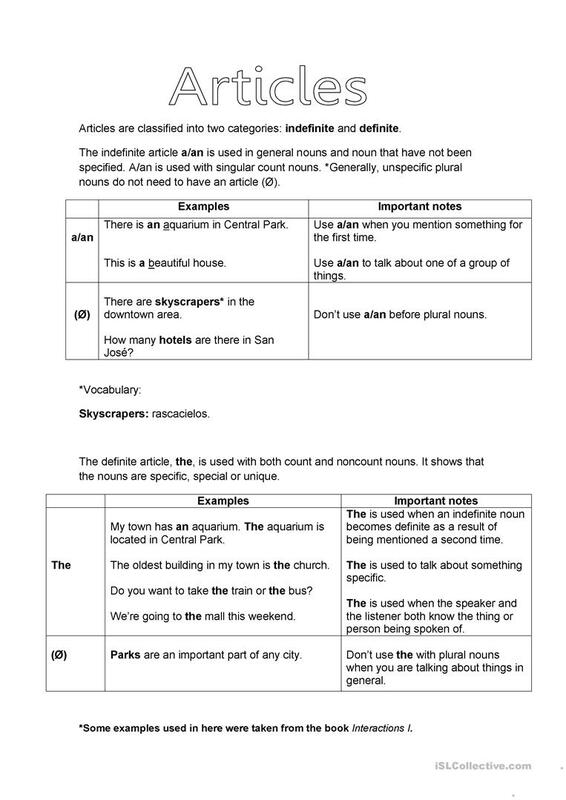 It is a useful material for teaching Articles in English, and is excellent for working on your pupils' Reading and Writing skills. Lyz90 is from/lives in Costa Rica and has been a member of iSLCollective since 2011-12-02 03:58:56. Lyz90 last logged in on 2018-12-28 14:52:59, and has shared 3 resources on iSLCollective so far.